1 of 3 Cut the turkey into 1/4-inch cubes. 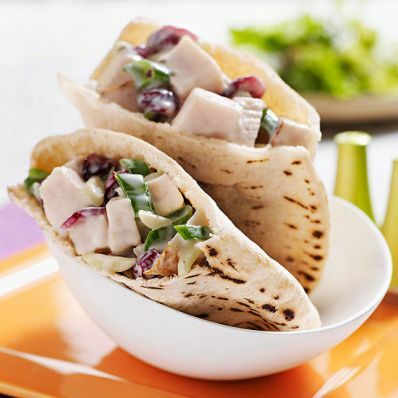 2 of 3 In a large bowl, mix together the turkey, dressing, almonds, Craisins and scallions. Cover and refrigerate for 1 hour. 3 of 3 To serve, cut open each pita about 1 inch from the top. Spoon a scant 1/2 cup of turkey mixture into each.